He’s one of Ireland’s most enigmatic and entertaining performers to the point where Ireland’s biggest music and arts festival, the Electric Picnic have for the past five years afforded him his very own stage. An indie legend and ringmaster of exceptional renown, Jerry Fish has evolved into a showman extraordinaire, capturing the hearts and minds of audiences all over with his now legendary live shows, a unique live theatrical experience that dissolves all boundaries between performer and audience. 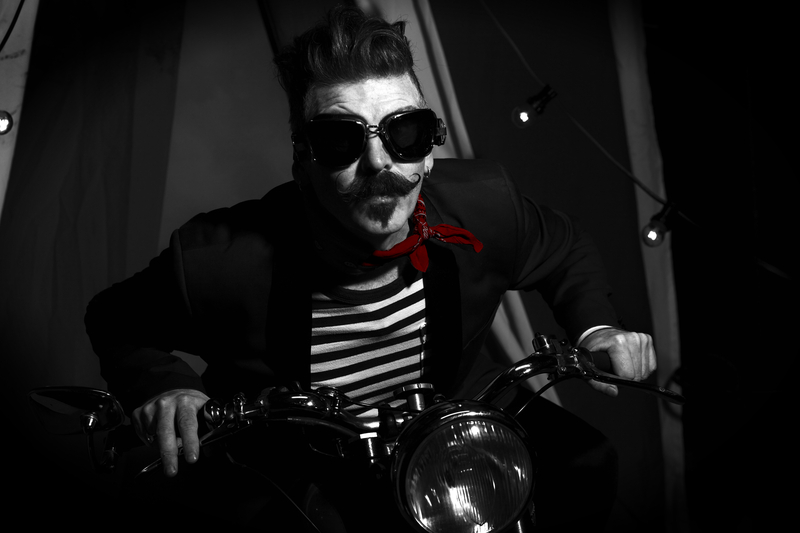 These days the name Jerry Fish is synonymous with Festivals, Carnival Sideshow, Circus and Theatre. Mr. Fish’s genre bending and idiosyncratic style of entertainment has made him a household name within the Irish Music industry. With two Platinum selling solo albums, an MTV award and IRMA Music Award, and a reputation as a supreme and spectacular showman. Jerry is currently touring an intimate piano show, performing his favourite songs, old and new from a career spanning over two decades as well as excerpts from his sell-out fringe theatre show. A highly charismatic performer who refuses to countenance audiences having anything but a good time, accentuating the positive and bringing smiles to troubled faces with his swaggering vocal, generous and infectious smile and that fantastic vaudeville moustache.